As you may already know, vaping is cheaper than smoking traditional tobacco products. But what if you could make it even cheaper and enjoy an even fresher vaping experience? There are two recurring costs that come with vaping: the vape juice and the vape coil. Both of these will need to be sporadically replaced as they are used up – with the former depending upon how much you vape and the latter depending upon how well you vape. How you vape and how well you treat your coils can significantly extend their lifespan. Generally, new coils last between one to two weeks, but that can be extended if you properly break in new coils when you get them and practice good care and maintenance procedures during and between usages. Doing so will save you money over time (as you’ll spend less money overall on new coils) and will actually deliver a fresher, more desirable flavor throughout each coil’s usage. Are you ready to get started? 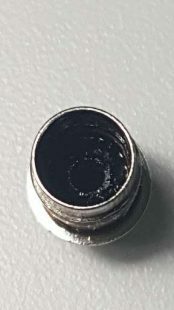 The first component to long-living vape coils is the break-in process. You’ll notice it’s time to replace your coil once you start experiencing a burnt taste with use. Too many people think this replacement process can be done by simply screwing off the old coil, screwing on the new, and then going ahead and vaping as usual. Not so. To get a long-lasting, premium vaping experience, you need to prime your coils every time you replace them. Out with the Old, In with the New. First, dispose of your old coil and screw your new one into place. This will allow you to grip the larger tank base during the next step. Saturate the Wicking Material. Look for the juice holes on the body of the coil’s head. This is where the wick is supposed to make contact with your vape juice. Take your bottle of e-liquid and carefully add a drop of vape juice in each of these holes to saturate the wick. Add another drop inside the head to saturate the wick’s center. Take a few dry hits. Once your device has been appropriately filled, reassemble the tank and attach it to your battery. Take four to five dry hits, which is to say take a drag without activating your battery’s fire button. This allows the vape juice from the tank to siphon into the cotton of the wick. Break-in the coil. Now that you’ve properly saturated the wicking material, it’s time to break-in the new wiring. The coil’s wire will expand when heated and contract when cooled. Because this is the first time you’re using it, it’s good practice to slowly ease it into the expansion phase. Do this by starting usage at a lower wattage than normal, taking a few shorter hits, and then steadily increasing wattage and drag duration until you’re using it as normal. Following the aforementioned priming tips. Priming your coils is like the break-in period for a new car. It lets the coils settle into their normal operating conditions before you add e-liquid. Avoid over-pressing the firing button. Use the puff timer tools on your vaporizer to learn when to hold and release the firing button. Pay close attention to the taste of your vape to find the sweet spot. If your vape has advanced ramp-up and ramp-down features, use those to narrow the vaping window. This will prevent you from accidentally creating a dry hit after you’ve finished inhaling. Waiting three to five seconds between hits. Your coil needs to cool down and absorb more e-liquid before it is ready to produce more vapor. If you are firing too quickly, you could be leaving your coils dry between hits without even realizing it. Don’t run your tank empty. Letting your tank drain all the way to the bottom before you refill is asking for trouble. Try to refill at the quarter-tank mark so you’ll never have an opportunity to dry fire. Stay at lower wattages whenever possible. Unless you’re actively working on a trick or competing, there is not much reason to be vaping at 200W-plus normally. That would be like driving at 200 miles per hour everywhere you went. Instead, you can get by with 55W to 80W for most of your day-to-day vaping without missing out on anything. Blow out excess juice: As long as you have old juice hanging around in your coil you will never get it completely clean. You need to remove as much juice as possible to get the cleanest coils possible. Rinse the coil under hot running water: Hot water will wash away any leftover debris or half-heated liquid that was sticking to the sides. Shake out the water: Gently shake out any water that is sitting between the coil wraps and then let your coils air dry on top of a paper towel or other absorbent material. Give yourself plenty of time to let your coils dry completely before you go on to the next step, otherwise, your coils could heat unevenly in the next step. Attach coils to vaporizer: Put your coils in place and press your firing button until they heat up completely. Just like building your coils for the first time, make sure that they heat evenly across all of the wraps. Look for signs that there is anything heating unevenly and make sure it is clean and dry. Repeat heating process: Allow your coils to cool for four or five seconds and then fire them again. This process causes your coils to expand and contract, and ensures that they get completely clean before you add e-liquid back into the equation. Rebuild your vape: Fill your tank up and get back to vaping normally. You should have a cleaner-tasting vape, as if you had brand new coils. To learn more about the proper care and maintenance of your vaporizer tools, visit our blog regularly. And when your coils finally do run their course and it’s time for you to buy replacement vape coils and e-liquids, shop VaporFi Australia online. At VaporFi, we are dedicated to providing you with only the highest quality products from brands like SMOK, Joyetech, and Eleaf. iJoy Captain X3 Triple 20700 324w Kit 10% Off!